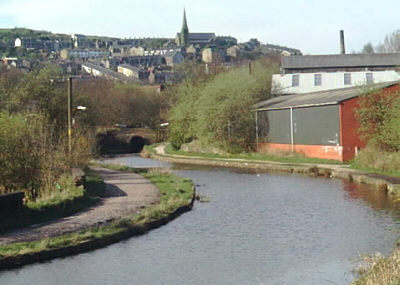 The Huddersfield Narrow Canal passes right through Mossley along the valley of the River Tame. Opened in 1811, it fell into disuse in the 1940s but was restored and re-opened in 2001. 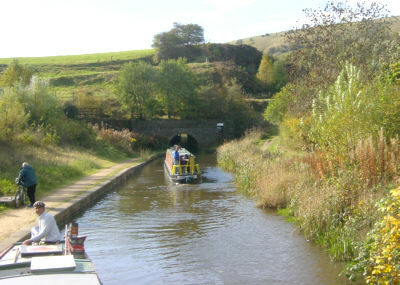 Scout Tunnel, seen from Whiteheads Lock. 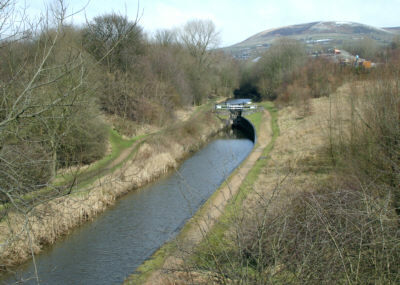 Whiteheads Lock seen from above Scout Tunnel. 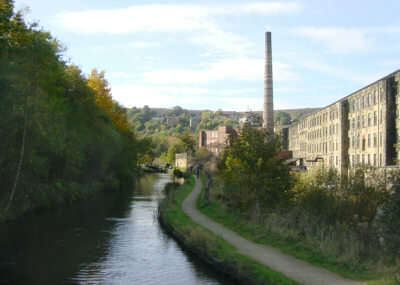 Looking from Bottoms Bridge (Micklehurst Road), towards Micklehurst Lock, with Roughtown on the hillside. Winterford Bridge, with Woodend Lock and Woodend Mill behind. 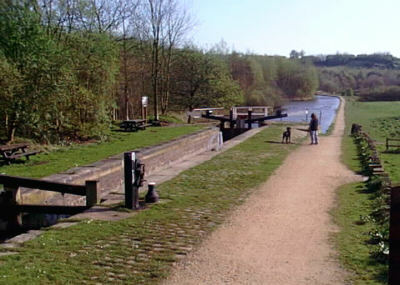 Woodend Lock, Micklehurst, with Woodend Mill on the right. 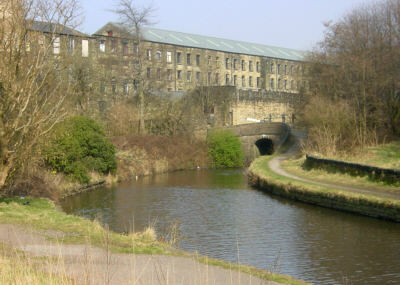 Looking south along the canal at Roaches Lock, off Manchester Road, Mossley. 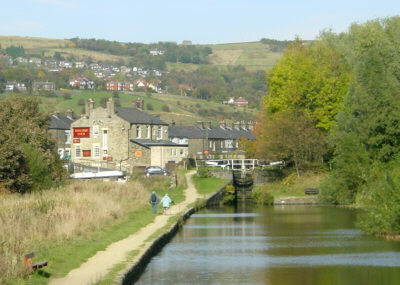 Looking towards Roaches Lock, Mossley, with the Roaches Lock pub on the left.